Cardinal Oscar Andres Rodriguez Maradiaga will deliver the 2015 Archbishop Romero Lecture of the Archbishop Romero Trust in London this Thursday, October 1st. 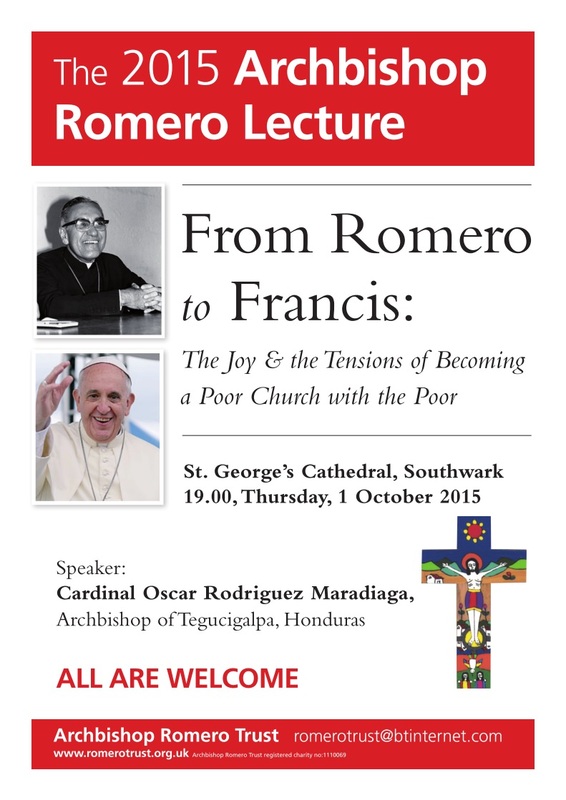 Cardinal Maradiaga’s presentation will be entitled “From Romero to Francis: The Joy & the Tensions of Becoming a Poor Church with the Poor.” The Cardinal is particularly well-suited for the topic, as he is knowledgeable about both men. He hails from Honduras, next-door to El Salvador and he even met Blessed Oscar Romero when the Cardinal was a young priest. He has spoken about Romero before, leading the vigil Mass at Romero’s beatification in May. Of course, he knows Pope Francis quite well also, because he chairs the Pope’s council of cardinal advisers. The link between Romero and Francis has been noted by many others, including this blog (for example, this post two weeks after Francis’ election, which compared the way Romero and Francis both took the Church by storm). More recently, John Allen wrote at the time of Romero’s beatification that “Romero devotees say Francis is the pope their hero would have been.” Huffington Post has linked Romero and Francis in their challenges to secular politics. N.Y. Newsday previewed Francis’ visit to the Big Apple by writing that Romero’s “spirit lives on in Pope Francis, who also embraces humility, compassion and equality.” Card. Maradiaga will presumably put meat on the bones of those arguments with his insights. Maradiaga’s speech will be notable beyond any interest in Romero because it promises to be very revealing about Pope Francis. The similarities between Romero and Francis do not stem from any conscious attempt by Francis to model Romero, nor, obviously from any intention of Romero to mirror Francis. The similarities are explained by both men’s formation in Latin America and, more precisely, in the Latin American Bishops’ Conference. 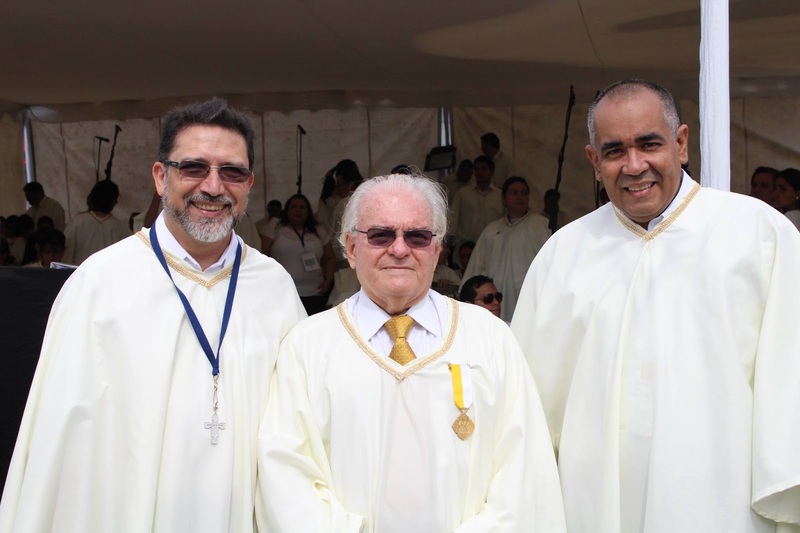 Romero was as much a child of Medellín and Puebla, the 1968 and 1979 meetings of CELAM (the Spanish acronym for the conference) and their documents, as Francis was shaped by Aparecida, the 2007 edition, for which he was the lead drafter of its concluding document. Aparecida incorporated and subsumed the content of Medellín and Puebla. As Austen Ivereigh, the papal biographer, told Crux, such simplistic analyses are bound to miss the mark. “In Latin America, the liberal-conservative division is restricted to small elites; the Church’s main reference point is the mass of people, who are generally poor and respectful of Church teaching,” Ivereigh was quoted as saying. “The Church in Latin America sees itself as defending the interests, values, and culture of the ‘people’ against neo-colonial interests,” he said, suggesting that same instinct is clear in history’s first Latin American pope. Thursday’s speech by Rodriguez Maradiaga is bound to be interesting. Anyone willing to listen will stand to gain insights into a man who remains for some an enigmatic pontiff. ‘Blessed’ Day within five years? Dorothy Day with Bl. Mother Teresa in 1979. (c) Bill Barrett. When Pope Francis cited Dorothy Day in his address last week before the U.S. Congress—only one of two American Catholics named by the pontiff (alongside the non-Catholic giants Abraham Lincoln and Martin Luther King, Jr.)—it naturally triggered speculation that Day’s beatification cause might soon pick up steam. Sources familiar with the cause expect that the papal acknowledgement will accelerate Day’s beatification, though it may not occur earlier than the next two years. In short, Francis’ shout-out may serve a similar function for Day’s cause as his “unblocking” Oscar Romero’s cause in April 2013 did for the Salvadoran martyr (Archbishop Romero who, like Day, died in 1980, was beatified last May). Papal support is one of the decisive factors that sets apart fast-moving sainthood causes. It was one of the five factors identified in a 2011 piece by Vaticanista John Allen that has informed my analysis in the Romero case. Consider the fact that when Pope Francis discussed Romero in August 2014, his remarks were cited in the opening lines of the introduction to the «Positio Super Martyrio»—the final argument submitted to the Congregation for the Causes of Saints to call for Romero’s beatification. In the case of Dorothy Day, her postulators will be able to cite two popes—in addition to Pope Francis, Pope Benedict also cited her in his second to last General Audience before leaving the papacy in February 2013. Imagine you are writing the introduction to the «Positio super Virtutibus» (the final brief for a candidate like Day who is not a martyr). First, you cite Benedict XVI, who said that Day experienced a conversion that recalled “important conversions such as that of St Paul on the road to Damascus, or of St Augustine.” By putting aside her youthful attraction to Marxism to follow Christ, Day demonstrated “the ability to oppose the ideological enticements of her time in order to choose the search for truth and to open herself to the discovery of faith,” said Benedict. He concluded: “God guided her to a conscious adherence to the Church, in a life dedicated to the underprivileged.” Then you cite Francis: “Her social activism, her passion for justice and for the cause of the oppressed, were inspired by the Gospel, her faith, and the example of the saints.” In short, you can let the popes make your argument. The cause for Dorothy Day began the decade after her death, when the late Cardinal John O’Connor began to promote her sainthood. He enlisted Monsignor Gregory A. Mustaciuolo as the Postulator. On March 10, 2000, the Archdiocese of New York received the «nihil obstat», a decree clearing the way for the cause to go ahead. Unfortunately, Cardinal O’Connor became ill and died, causing the first significant delay in the cause. On, June 7, 2005, the Dorothy Day Guild was formed under O’Connor’s successor, Cardinal Edward Egan, as a way to promote the figure and the cause. In a way, this was the first acknowledgment that there was resistance or misunderstandings around Day. By November 2012, O’Connor’s and Egan’s successor, Cardinal Timothy Dolan, was able to obtain an endorsement from the U.S. Conference of Catholic Bishops for the cause. By the following February, Benedict cited her in his General Audience as noted above. In October of last year, the New York Archdiocese hired Jeff Korgen as coordinator of the diocesan investigation—a solid indication that the cause was deemed prime for substantive action. 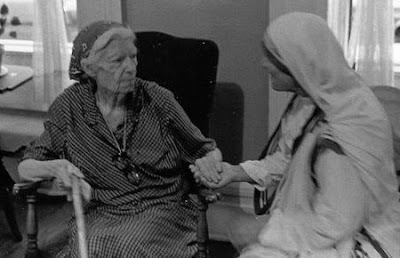 I would be very surprised if we did not have Blessed Dorothy Day within five years. Blessed Romero at the U.N. 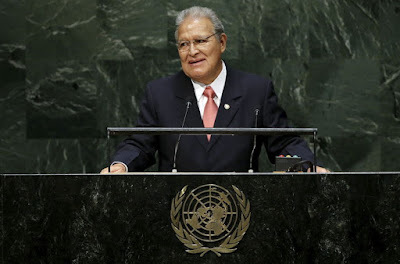 The Salvadoran President’s speech was overshadowed by the big news at the United Nations of the presence of Pope Francis during the same week, as well as the debut of the Cuban President Raul Castro at UN headquarters in New York. The decision of the Salvadoran State to feature the figure of Romero in its presentation to the UN is interesting because it suggests a strategy of embracing Romero as the maximum symbol of national identity. This decision should be read in tandem with past decisions, such as naming the air hub in El Salvador “Oscar A. Romero” airport, promoting a tourist route about the martyr and the recognition that the U.N. itself gave Romero in commemorating the anniversary of his assassination as the International Day for the Right to the Truth for Victims of Gross Human Rights Violations. The predecessor of the Pres. Sanchez Ceren, President Mauricio Funes, also adopted Romero as a moral reference point and inspiration of his Government. However, Sánchez Cerén’s decisions seem to put Romero on a path to become a national symbol and not just the banner of a particular administration. In his speech to the summit on sustainable development, Pres. Sanchez Ceren emphasized Romero’s legacy in the area of social justice and the common good, and proposed Romero as a guiding light in that frame of reference. “It is important that the reform of the development finance system be based on a comprehensive and pluralistic vision, based on the achievement of the objectives of sustainable development,” the President urged. The Summit has adopted targets such as the end of poverty; zero hunger; health and welfare; quality education; clean water and sanitation; affordable clean energy; decent work and economic growth; reduction of inequality; production and responsible consumption; climate action; and peace, justice, and institutional stability. If blessed Romero achieves the level of identification with a national vision that the Salvadoran Government desires, he could become for El Salvador the equivalent of what St. Patrick is for Ireland, St. James the Apostle is for Spain and St. George is for England. El Presidente Salvador Sánchez Cerén. 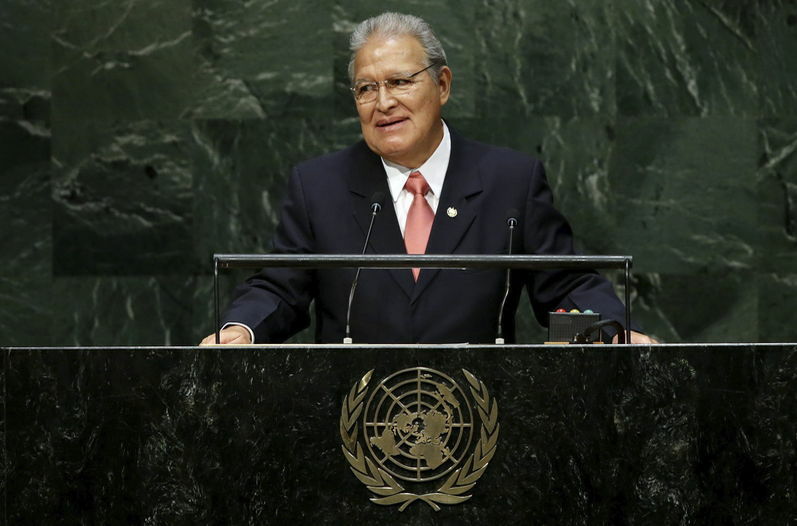 En un discurso el viernes 25 de septiembre de 2015 ante la Cumbre de las Naciones Unidas sobre el Desarrollo Sostenible post 2015, el Presidente Salvador Sánchez Cerén de El Salvador propuso la figura del beato Óscar Arnulfo Romero como un referente de la visión integral para el desarrollo en la región. La beatificación de Romero el pasado mayo, dijo Sánchez Cerén “acompañará los objetivos de este encuentro mundial, pues Monseñor Romero trabajó y ofrendó su vida por los ideales de justicia y dignidad humana que hoy nos proponemos”. El mandatario salvadoreño expresó su deseo de que “el mensaje de valentía y paz del beato Romero nos guíe también en esta cumbre y nos de impulso para construir bienestar y felicidad en el planeta”. El discurso del presidente salvadoreño quedó desplazado por la gran noticia en Naciones Unidas que fue la presencia del Papa Francisco durante la misma semana, como también el debut del mandatario cubano Raúl Castro en la sede de la ONU en Nueva York. La decisión del estado salvadoreño de exaltar la figura de Romero como parte de su presentación ante la ONU es interesante porque sugiere una estrategia de adoptar a Romero como el máximo símbolo de identidad nacional. Esta decisión debe leerse en continuidad con decisiones anteriores, como la de nombrar el aeropuerto de el Salvador “Mons. Óscar A. Romero”, de promover una ruta turística sobre el mártir, y como el galardón que la misma ONU le dio al conmemorar el aniversario de su asesinato como el Día Internacional del Derecho a la Verdad de las Víctimas de Violaciones Graves de los Derechos Humanos. El antecesor del Pdte. Sánchez Cerén, el Presidente Mauricio Funes, también adoptó a Romero como referente moral e inspiración de su gobierno. Sin embargo, las decisiones de Sánchez Cerén parecen encaminar a Romero a ser un símbolo nacional y no solamente el estandarte de un dado gobierno. En su discurso ante la cumbre sobre el Desarrollo Sostenible, el Pdte. Sánchez Cerén enfatizó el legado de Romero sobre el tema de la justicia social y el bien común y propuso a Romero como una luz de guía en ese marco de referencia. “Es necesario que la revisión del sistema de financiamiento para el desarrollo esté basada en una visión integral y plural, en función del logro de los Objetivos de Desarrollo Sostenible”, exhortó el presidente. La cumbre ha adoptado objetivos tales como el fin de la pobreza; hambre cero; salud y bienestar; educación de calidad; agua limpia y saneamiento; energía asequible y no contaminante; trabajo decente y crecimiento económico; reducción de las desigualdades; producción y consumo responsable; acción por el clima; y paz, justicia e instituciones sólidas. Si el Beato Romero llega a tener la identificación con una visión de nación como el gobierno salvadoreño esté planteando, podría ser para El Salvador el equivalente de lo que San Patricio es para Irlanda, Santiago el Apóstol es para España o San Jorge para Inglaterra. Il Presidente Salvador Sanchez Ceren. In un discorso del Venerdì 25 settembre 2015 in occasione della Conferenza delle Nazioni Unite sullo sviluppo sostenibile 2015, il presidente Salvador Sanchez Ceren di El Salvador ha proposto la figura del Beato Oscar Romero come riferimento per la visione globale per lo sviluppo nella regione. La beatificazione di Romero lo scorso maggio, ha detto Sanchez Ceren, “accompagnerà gli obiettivi di questo incontro globale, perché monsignor Romero ha lavorato e ha dato la sua vita per gli ideali di giustizia e di dignità umana che proponiamo oggi”. Il presidente salvadoregno ha espresso la speranza che “il messaggio di coraggio e di pace del Beato Romero anche ci guidi in questo vertice e ci spingono a costruire benessere e felicità nel pianeta”. Il discorso del presidente salvadoregno è stato oscurato dalla grande notizia alle Nazioni Unite, che ha stato la presenza del Papa Francesco durante la stessa settimana, e anche del debutto del presidente cubano Raul Castro presso la sede dell’ONU a New York. La decisione dello stato salvadoregno di esaltare la figura di Romero come parte della sua presentazione all’ONU è interessante perché suggerisce una strategia di presentare Romero come il simbolo più importante dell’identità nazionale. Questa decisione deve essere letta in continuità con le altre precedenti decisioni, come il nominare il Aeroporto di El Salvador “Monsignor Oscar A. Romero”, il promuovere un percorso turistico del martire, e l’omaggio che la stessa ONU gli ha dato al commemorare l’anniversario del suo assassinio come la giornata internazionale per il diritto alla verità delle vittime di violazioni gravi dei diritti umani. Il predecessore di Sanchez Ceren, Presidente Mauricio Funes, anche adottati Romero come punto di riferimento di moralità e ispirazione del suo governo. Tuttavia, le decisioni di Sánchez Cerén sembrano spingere Romero a rappresentare un nazionale e non solo all’insegna di un governo di turno. Nel suo discorso al vertice sullo sviluppo sostenibile, il presidente Sanchez Ceren ha sottolineato gli legato di Romero sul tema della giustizia sociale e il bene comune e proposto a Romero come luce guida in tale quadro di riferimento. “È necessario che la reforma del sistema di finanziamento per lo sviluppo si basa su una visione completa e pluralista, basata sul raggiungimento degli obiettivi di sviluppo sostenibile”, ha esortato il Presidente. Il vertice ha adottato obiettivi come la fine della povertà; zero fame; salute e benessere; istruzione di qualità; acqua potabile e servizi igienico-sanitari; energia pulita a prezzi accessibili; lavoro dignitoso e crescita economica; riduzione delle disuguaglianze; produzione e consumo responsabile; azione per il clima; e la pace, la giustizia e istituzioni forti. Se il Beato Romero viene ad avere una identità con una visione nazionale, come il governo salvadoregno sta proponendo, potrebbe essere l’equivalente per El Salvador di ciò che San Patrizio è in Irlanda, Giacomo è per la Spagna o San Giorgio per l’Inghilterra. Site of the new, future parish. After the announcement that the Diocese of San Bernardino, California, in the United States will build a new parish to be called “Blessed Oscar Romero”—the first in the US (and probably in the world) to bear the name of the Salvadoran martyr bishop—we ask ourselves how the process by which the Church integrates Romero into its life of holiness and devotion is progressing. Super Martyrio has learned that various California dioceses are considering requests to allow the veneration of Romero in their jurisdictions, where many Salvadorans immigrants now reside. But “he has not been registered in any particular calendar,” according to an official at the Congregation for Divine Worship and the Discipline of the Sacraments contacted by Super Martyrio. That has not stopped several tributes to the Salvadoran martyr, particularly in Latin America. For example, on the day in which Romero was beatified, a chapel bearing his name was inaugurated in the parish of San Juan Bautista, in Rio Branco, Uruguay. The Bishop of Melo, Msgr. Heriberto Bodeant, presided over the ceremony. Before Romero’s beatification in May, this chapel was called the Chapel of the Latin Americans Martyrs, but the name was changed in honor of Romero as soon as his holiness was officially recognized. Similarly, in Santiago de Chile there is an Oscar Romero Chapel in the Cristo Evangelizador y Solidario parish. In Canto Grande, Peru (in the outskirts of Lima) there is an Oscar Romero Chapel in the parish of El Señor de la Esperanza (Diocese of Chosica). Meanwhile, In El Salvador, the land of Blessed Romero, the church promulgated liturgical revisions introducing Romero’s name alongside the ancient martyrs and saints mentioned in the canon of every Mass celebrated in the country, during the Eucharistic prayers. The Riverside County (California) Press-Telegram has confirmed that the Romero Parish in Eastvale, San Bernadino, will be the first among the 17,000 parishes in the United States under the name “Oscar Romero.” But the Romero Parish is only in the planning stages. The place where it will be built is still an empty 10 acre lot these days (photo). A fire station will be built nearby. When the new faith community is inaugurated on November 29, the first Sunday of Advent, they will probably celebrate Mass in the auditorium of the high school in the neighborhood. The diocese does not yet have estimates of the cost of building a new church, or a date it expects it to be completed. Reactions to the news have been positive. A church spokesman told reporters that the diocese has been flooded with phone calls, emails and Facebook messages after the announcement. Sitio de la nueva, futura parroquia. Tras el anuncio de que la Diócesis de San Bernardino en California en los Estados Unidos va a construir una nueva parroquia que llamará “Beato Óscar Romero”—la primera en los EE.UU. (y probablemente en el mundo) de llevar el nombre del obispo mártir salvadoreño—nos preguntamos cómo va el proceso por el cual la Iglesia está integrando a Romero en su vida de santidad y devoción. Súper Martyrio ha conocido que varias diócesis de California están considerando solicitudes para permitir la veneración de Romero en sus jurisdicciones, donde ahora viven muchos inmigrantes salvadoreños. Sin embargo, “aún no está registrado en ningún calendario particular”, según un funcionario de la Congregación para el Culto Divino y la Disciplina de los Sacramentos contactado por Súper Martyrio. Eso no ha impedido varios homenajes al mártir salvadoreño, particularmente en América Latina. Por ejemplo, el día en el que Romero fue beatificado, una capilla que lleva su nombre fue inaugurada en la parroquia de San Juan Bautista, en ciudad de Río Branco, en Uruguay. El Obispo de Melo, Mons. Heriberto Bodeant, presidió la ceremonia. Antes de la beatificación de Romero el mayo pasado, esta capilla se había llamado Capilla de los Mártires Latinoamericanos, pero el nombre fue cambiado en honor a Romero, cuanto antes su santidad fuera oficialmente reconocida. Del mismo modo, en Santiago de Chile hay una Capilla Óscar Romero en la parroquia Cristo Evangelizador y Solidario. En Canto Grande, Perú (en las afueras de Lima) hay una Capilla Óscar Romero en la parroquia de El Señor de la Esperanza (Diócesis de Chosica). Mientras tanto, en El Salvador, la tierra del Beato Romero, la iglesia promulgó revisiones litúrgicas introduciendo el nombre de Romero entre los antiguos mártires y santos mencionados en el canon de toda Misa celebrada en el país, durante las oraciones eucarísticas. El diario Press-Telegram del Condado de Riverside (California), ha confirmado que la Parroquia Romero en Eastvale, San Bernardino, será la primera con el nombre de “Oscar Romero” entre las 17.000 parroquias en los Estados Unidos. Pero la Parroquia Romero está sólo en la etapa de planificación. El lugar donde se construirá es todavía un terreno vacío de 10 acres estos días (foto). Una estación de bomberos se construirá en sus proximidades. Cuando la nueva comunidad de fe se inaugure el 29 de noviembre, el primer domingo de Adviento, probablemente celebrará la Santa Misa en el auditorio de la escuela secundaria del vecindario. La diócesis no cuenta aún con estimaciones del costo de la construcción de la nueva iglesia, o con una fecha en que se espera que esté terminada. Las reacciones a la noticia han sido positivas. Un vocero de la iglesia, dijo a periodistas que la diócesis ha estado inundada con llamadas telefónicas, correos electrónicos y mensajes de Facebook después del anuncio. 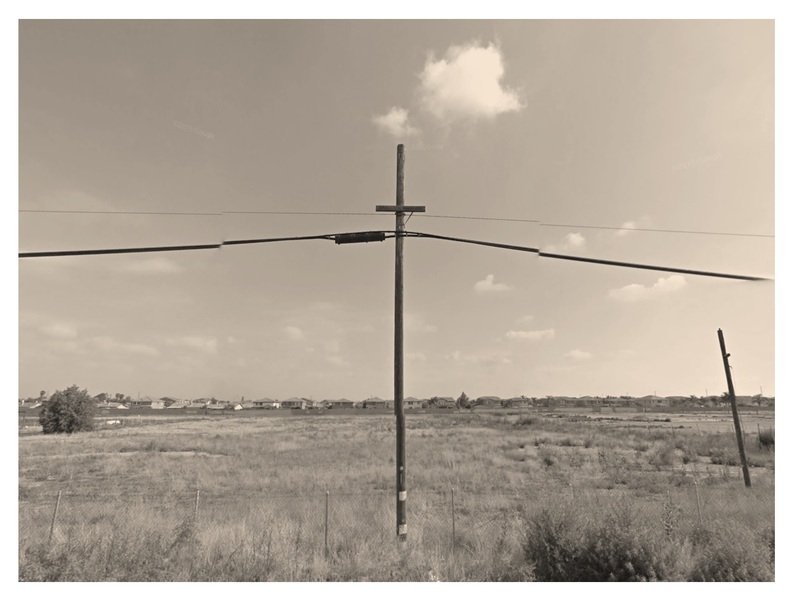 Sito della nuova, futura parrochia. Dopo l’annuncio che la diocesi di San Bernardino in California negli Stati Uniti costruirà una nuova parrocchia che chiamerà “Beato Oscar Romero”—la prima negli Stati Uniti (e probabilmente nel mondo) di portare il nome del vescovo martire salvadoregno—ci chiediamo come va il processo mediante il quale la Chiesa sta integrando Romero nella sua vita di santità e devozione. Super Martyrio ha imparato che varie diocesi californiane stanno considerando richieste da permettere il culto di Romero nelle loro giurisdizioni, in cui molti immigrati salvadoregni ora vivono. Ma “al momento non sia stato iscritto in nessun calendario particolare”, secondo un funzionario della Congregazione per il Culto Divino e la Disciplina dei Sacramenti contattato da Super Martyrio. Questo non ha fermato diversi omaggi al martire salvadoregno, soprattutto in America Latina. Ad esempio, proprio il giorno in cui Romero è stato beatificato, una cappella che porta il suo nome è stato inaugurata nella parrochia San Juan Bautista, città di Rio Branco in Uruguay. Il Vescovo di Melo, Mons. Heriberto Bodeant, ha presieduto alla cerimonia. Prima della beatificazione di Romero lo scorso maggio, questa cappella è stato chiamata la Cappella dei Martiri Latinoamericani ma il nome è stato cambiato in onore di Romero, appena la sua santità è stato riconosciuta ufficialmente. Allo stesso modo, in Santiago del Cile vi è una Cappella Oscar Romero nella parrochia Cristo Evangelizador y Solidario. In Canto Grande, Peru (nella periferia di Lima) vi è una Cappella Oscar Romero nella parrochia El Señor de la Esperanza (Diocesi di Chosica). Nel frattempo, in El Salvador, la terra del Beato Romero, la chiesa ha promulgato revisioni liturgiche che introducono il nome di Romero tra le antiche martiri e santi citati nel canone di tutta messa celebrata nel paese, durante le preghiere eucaristiche. Il Press-Telegram, giornale della Riverside County (California), ha confermato che la Parrochia Romero in Eastvale, San Bernadino, sarà la prima tra i 17.000 parrochie negli Stati Uniti con il nome “Oscar Romero”. Ma la Parrochia Romero è solo in fase di progettazione. Il luogo dove verrà costruita è ancora uno un terreno vuoto di 10 acri in questi giorni (foto). Una stazione di fuoco sarà costruita nelle sue vicinanze. Quando la nuova comunità di fede venga inaugurata il 29 novembre, la prima Domenica di Avvento, probabilmente celebrerà la messa in un auditorium del liceo nel quartiere. La diocesi non dispone ancora di stime del costo di costruire la nuova chiesa, o una data in cui si prevede che si completerà. Reazioni alle notizie sono state positive. Un portavoce della chiesa ha detto ai giornalisti che la diocesi è stato inondata di telefonate, e-mail e messaggi su Facebook dopo l’annuncio. The music of the liturgy for Blessed Oscar Romero consisted of a large body of songs of traditional spirituality set in contemporary arrangements, tinged with three particular accents: (1) a modern suite tending toward jazz; (2) a folkloric set adapted to the regional post-conciliar liturgy and (3) a pinch of music tailored for the occasion. The resulting blend made the event, which was televised by 14 international broadcasters, a real hemispheric culture happening. Most of the songs were spirtualist music, but from post-conciliar composers who emphasize people's participation in the banquet of the Eucharist, with the modern arrangements of the international liturgies of the Church. These included songs that are well-known across the continent such as “Pescador de Hombres” (in a melodic-blues-jazz arrangement) and “Que Alegría Cuando Me Dijeron” (with a lively Latin rhythm). [At the bottom of this post is a list of all the songs that were played, along with links to the video of the ceremony to be able to play each song.] Interwoven into this matrix were the three elements mentioned above. The most cutting edge component consisted of a couple of songs with jazzy overtones, including perhaps the most prominent of all those heard, Psalm 71 (“Tu Reino es Vida”) which resonated during the beatification rite. Commentators have described the style as even “Broadway”-sounding in its arrangement. Another song that was also imbued with a touch of jazz was “Alrededor de tu mesa” during the entrance, but less than Psalm 71, which really strikes the listener for its hyper modern sound, very competently executed. 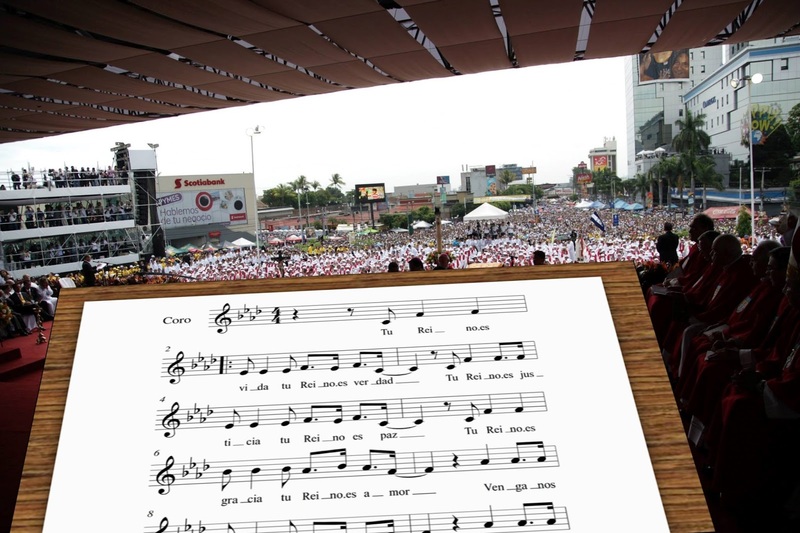 Taking up these guidelines, liturgists in Latin America developed liturgical music that accompanied not only the great liturgies of the Church but also sought to decisively accompany the Latin American peoples in their hopes and joys. A pioneer of the liturgical movement was Mexican Bishop Sergio Mendez Arceo, who developed mariachi Masses in the 50s and produced the first “Misa Panamericana” which later gave rise to the popular masses that were heard in the liturgy of beatification of Archbishop Romero . In fact, Bishop Mendez approached Archbishop Romero during the meeting of CELAM in Puebla in 1979, and the two exchanged ideas. Archbishop Romero later commissioned the “Salvadoran Popular Mass” whose notes echoed during the beatification ceremony. During the procession of the bishops we heard “Vamos todos al banquete” from the Salvadoran Popular Mass. During the offertory, “Te ofrecemos padre nuestro” from the Nicaraguan Popular Mass was heard. Both songs worked in the use of native instruments like the marimba, which served not only to add authenticity but also an intensely festive flavor to the occasion. The instrumentation and the lively and upbeat arrangements of other songs (like “Venimos con alegría”) reinforced that sense. The “Santo” from the ‘Spanish Mass’ was borrowed and used, with its vocal harmonies sounding almost medieval in their finesse and simplicity. Special orders for the occasion were two songs: the “Himno a Mons. Romero” of Carmen González Huguet, and the “Himno a Nuestra Señora de la Paz” by Bishop Juan Antonio Dueñas y Argumedo. The Romero hymn was easy and majestic with emotional and pining lyrics; the hymn to the Virgin patron saint of El Salvador regal and imperious, with an original arrangement of the Italian Giovanni "John" Aberle, responsible for the Salvadoran national anthem. The resulting mixture of distinctly contemporary music (even to innovative levels), native sounds, and arrangements tailor-made for the occasion against a background of conventional contemporary liturgical music profiled the ceremony as a first-rate world class event. However, this combination was not the result of cold calculations, but an organic selection process. First, conductors Alfredo Andino, Lito Aranda, Jose Santamaria Lagos, and Julio García developed a long list of 40 or more songs that they proceeded to weed out in subsequent discussions. The church and its liturgists only gave them three special orders: “Vamos todos al banquete” from the Salvadoran Popular Mass commissioned by Archbishop Romero; “Tu reino es vida” to provide the touch of justice of the prophets of the Old Testament appropriate to the occasion; and “Himno a Nuestra Señora de la Paz” to praise the national patroness and the region where her icon is venerated, which is also the land of Archbishop ​​Romero. Conductors Salvador Marroquín, José Santamaría and Alfredo Andino. The performance by the four-part choir consisting of 125 singers was high quality. “They sang like angels descended from heaven,” commented one user on a social network. The organization of the choir was a minor miracle, made possible because the coordinators started working after Pope Francis approved the martyrdom of Archbishop Romero on February 4, 2015. Between the announcement of the date on March 11 and the beatification on May 23, there were only two and a half months of preparation. Within this time frame, the coordinators selected the songs; hundreds of volunteers showed up to audition to compete for a place in the choir; and after being selected rehearsed three days a week to learn twenty-eight numbers. Only one out of five knew how to read music; even fewer had ever sung in a national choir before. Choir members faced practical challenges posed by the short time and the needs of staging an event of such dimensions: work-related conflicts, family issues, and countless personal sacrifices. Conductor Alfredo Andino had to miss his son's fifteenth birthday party when he was summoned to the first organizing meeting with only a day's notice. One member had her husband hospitalized up through the day of the ceremony; another member was injured and had to attend rehearsals with a broken foot; another had a fender bender and needed continuous help getting to and from the rehearsals. Transportation problems were widespread: Typical was the member who came from Los Planes de Renderos in the hills outside of San Salvador, and had to home by public transport when the rehearsals ended at nine o'clock at night, in a city where gang members extort money from bus drivers, and recently imposed a system-wide shutdown. Priest distributing Holy Communion to the choir members during the ceremony. The songs of the beatification of Archbishop Romero bear out the old adage that “to sing is to pray twice” as they give glory to God not only through the music but also through the sacrifices accepted and challenges overcome that led the vision to become a reality. Sample (Spanish): “Vienen con alegría, Señor; cantando vienen con alegría, señor; los que caminan por la vida, Señor, sembrando tu paz y amor”. Sample translation: They come joyfully oh Lord; they come joyfully singing oh Lord; those who walk through life oh Lord, sowing your peace and love. Watch video: Click here (minute 18:08). Observations: Same author as #18, “Pescador de Hombres”. This song began the entrance procession of the priests. Although not part of a folk mass, its typically Latin sound (accordions and lively rhythms) gave a festive start to the ceremony. Sample (Spanish): “Que alegría cuando me dijeron ‘Vamos a la casa del Señor’. Ya están llegando nuestros pies a tus puertas, Jerusalén’”. Sample translation: How happy I was when they told me ‘Let us go to the Lord’s house.’ Our feet are now reaching your doors, Jerusalem. Watch video: Click here (minute 22:45 y 30:20 (it is repeated)). Observations: Same author as #6, “Tu reino es vida”. The words of Psalm 121 are among the most fitting to begin a Mass and therefore are frequently used. The song was repeated to fill up the long entrance procession of 1,300 priests which lasted nearly half an hour. Sample (Spanish): “Alrededor de tu mesa venimos a recordar que tu palabra es camino, tu cuerpo fraternidad”. Sample translation: Around your table we gather to remember that your word is a way and your body is brotherhood. Watch video: Click here (minute 26:01). Observations: Same author as #7, “Gloria,” and #17, “Acerquémonos todos al altar”. The first indication of a modern, almost experimental sound during the beatification ceremony, would have been the synthesizer-produced notes of this song. Sample (Spanish): “Vamos todos al banquete, a la mesa de la creación; cada cual con su taburete tiene un puesto y una misión”. Sample translation: Let’s all go to the banquet, to the table of creation, everyone with their own stool has a place and a mission. Watch video: Click here (minute 39:14). Observations: Part of the Mass commissioned by Archbishop Romero but never heard by him. It evokes a famous homily by Fr. Rutilio Grande, which compares the Kingdom with “a great banquet on tables with long tablecloths, with plenty for everyone. And nobody will be left out without their stool and fair share.” Cardinal Amato looked very cheerful and upbeat in the entrance procession with this song. Sample (Spanish): “Señor ten piedad de nosotros, Cristo ten piedad de nosotros”. Watch video: Click here (minute 15:35). Observations: The Mass was composed in 1968 as part of the liturgical renewal by the Mexican Jesuit Miguel Aguayo and Spanish musician Carlos Camacho who was active in Mexico. The recording they made was certified silver for the number of copies sold. Same author as #11, “Vino y Pan en Oblación”. Sample (Spanish): “Tu reino es vida, tu reino es verdad, tu reino es justicia, tu reino es paz”. Sample translation: Your kingdom is life, your kingdom is truth, your kingdom is justice, your kingdom is peace. Watch video: Click here (minute 36:12 (repeated)). Sample translation: Because You alone are Holy, only You Lord, only You almighty Jesus Christ, with the Holy Spirit in the glory of God the Father. Amen. Watch video: Click here (minute 49:55). Observations: Palazón, the great master of the “Schola Cantorum” and the Conciliar Seminary of Madrid and the Musikhochschule of Munich, is the same autor as #3, “Alrededor de tu mesa,” and #17, “Acerquémonos todos al altar”. Sample (Spanish): “Los que sembraban con lágrimas cosechan entre cantares”. Sample translation: Those who planted in tears now reap among singing. Watch video: Click here (minute 56:38). Observations: Sung beautifully by conductor José Benjamín Santamaría Lagos. Sample (Spanish): “Canta Aleluya al Señor”. Watch video: Click here (minute 1:02:30). Observations: This is a little more than a refrain to introduce the gospel. Watch video: Click here (minute 1:04:55). Observations: Movingly sung by Deacon Marcelino García, who earned a municipal recognition for his performance. Sample (Spanish): “Vino y pan en oblación esperan el milagro del Señor”. Sample translation: Bread and wine in oblation await the miracle of the Lord. Watch video: Click here (minute 1:36:45). Sample (Spanish): “Te presentamos el vino y el pan; bendito seas por siempre, Señor”. Sample translation: We present to you the bread and wine; Blessed be you always, Lord. Watch video: Click here (minute 1:39:15). Observations: Author Espinosa is one of the great exponents of the New Liturgy in Spain, with an emphasis on music about social justice music stemming from his several years working with farmers in Peru and Colombia. Sample (Spanish): “Te ofrecemos padre nuestro, con el vino y con el pan, nuestras penas y alegrías, el trabajo y nuestro afán”. Sample translation: We offer you, our Father, with the bread and with the wine, our woes and joys, our work and our hopes. Watch video: Click here (minute 1:41:20 (repeated)). Observations: The Nicaraguan Folk Mass was composed by Fr. Jose de la Jara and Manuel Davila in 1968, as a pioneer popular Mass in Latin America in the spirit of Vatican II. Not to be confused with the Misa Campesina Nicaragüense of Carlos Mejia Godoy (1975). Sample (Spanish): “Hosanna en el cielo, Hosanna en el cielo, bendito es el que viene en nombre del Señor”. Sample translation: Hosanna in the highest, Hosanna in the highest, blessed is He who comes in the name of the Lord. Watch video: Click here (minute 1:46:45). Observations: The Spanish priest and composer Alfonso Luna-Sanchez promoted a style based on the harmonies and counterpoint of classical baroque music, but using a modern musical language appropriate for a multicultural liturgy. Sample (Spanish): “Cordero de Dios que quitas el pecado del mundo, ten piedad de nosotros”. Sample translation: Lamb of God that takes away the sins of the world, have mercy on us. Watch video: Click here (minute 1:58:22). Observations: Same author as #19, “Señor a quién iremos”. Mejia is a Mexican Marist religious, director of the Colegio Mexico, liturgist, musician and composer. He is the author of the Misa Festiva (also known as the “Misa Ranchera”). Sample (Spanish): “Profeta de pecho herido, siervo de la luz quemante, en el altar donde fuiste sacrificio y celebrante”. Sample translation: Wounded breasted prophet, servant of the burning light, on the altar on which you were both sacrifice and celebrant. Watch video: Click here (minute 2:00:45). Sample (Spanish): “Siempre que comemos de ese pan recordamos la Pascua del Señor”. Watch video: Click here (minute 2:04:25). Observations: Same author as #3, “Alrededor de tu mesa,” and #7, “Gloria”. Sample (Spanish): “Tú has venido a la orilla, no has buscado ni a sabios ni a ricos. Tan solo quieres que yo te siga”. Sample translation: You have come to the shore, you have sought neither wise men nor rich men. You only ask for me to follow you. Watch video: Click here (minute 2:11:05). Observations: It was composed in 1979 by the Spanish composer and priest Cesáreo Gabaráin (same author as #1, “Venimos con alegría”). Its lyric was inspired in the Gospel passage from Luke in which Jesus calls Simon Peter to be a “fisher of men,” and he and his companions leave everything to follow Him. The song was favored by John Paul II. Sample (Spanish): “El que viene al banquete de mi cuerpo en mi vive y yo vivo en él. Brotará en él la vida eterna, y yo lo resucitaré”. Sample translation: Whomsoever comes to the banquet of my body lives in me and I in them. Eternal life will flow within them and I will resurrect them. Watch video: Click here (minute 2:15:55). Observations: Same author as #15, “Cordero de Dios”. Sample (Spanish): “Salve oh Reina de Oriente ensalzada, de tus hijos escucha el clamor; nuestra dulce patrona aclamada, tuyo siempre será El Salvador”. Sample translation: Hail O exalted Queen of the East, hear your children’s clamoring; our sweet acclaimed patron, El Salvador will always be yours. Watch video: Click here (minute 2:47:00). Observations: Msgr. 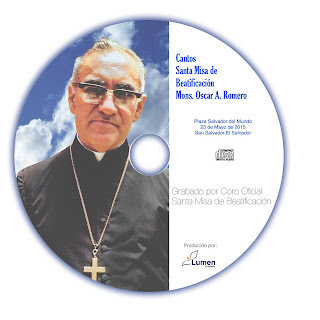 Dueñas, composer of the lyrics of this tribute to the Patroness of El Salvador, was the Bishop of San Miguel who called the boy Oscar Romero to the seminary at age 13; additionally, the young Fr. Romero was in charge of caring for the icon of the Virgin. CD of the songs available from Asociación Lumen 2000 in El Salvador.